Every shelter has its necessities. The [almost] non-stop rain we’ve experienced has made a muddy construction site, but also reminded that our flock will need a roof over their head, so that was the next task on our construction agenda. Our crew moved so quickly, we almost missed capturing the events of the day! 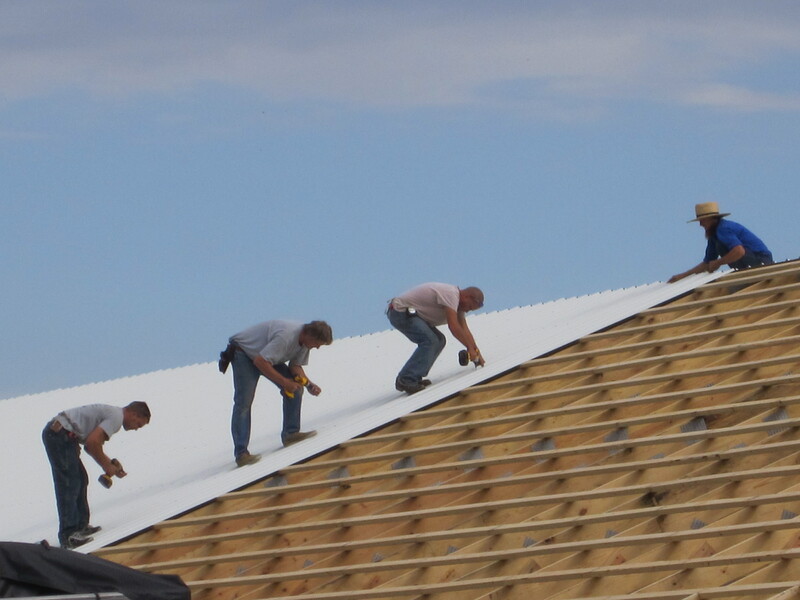 In a matter of a few hours, they had already nearly completed one entire side of the roof. 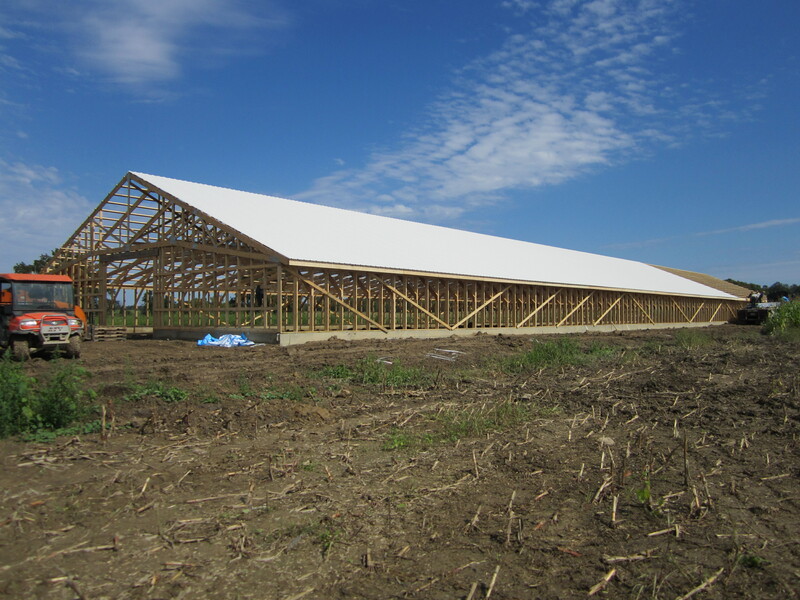 The metal sheets that make up the roof measure 31 feet and 8 inches long, while the width comes in around 3 feet. 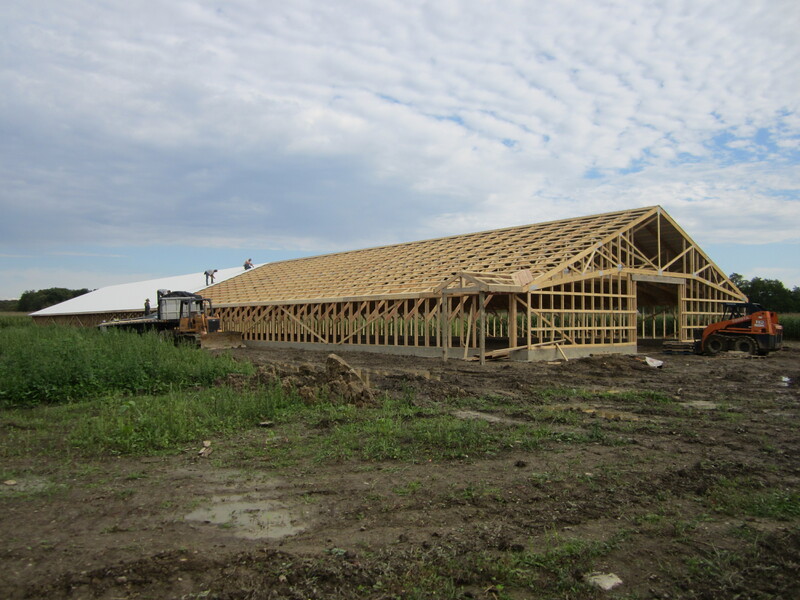 When the sheets are set in place, they overlap the previous sheet already secured to the trusses. It works similar to the idea of tongue and groove systems, except rather than the interlocking features being on the edge, ours were on the flat surface of the sheets of metal. 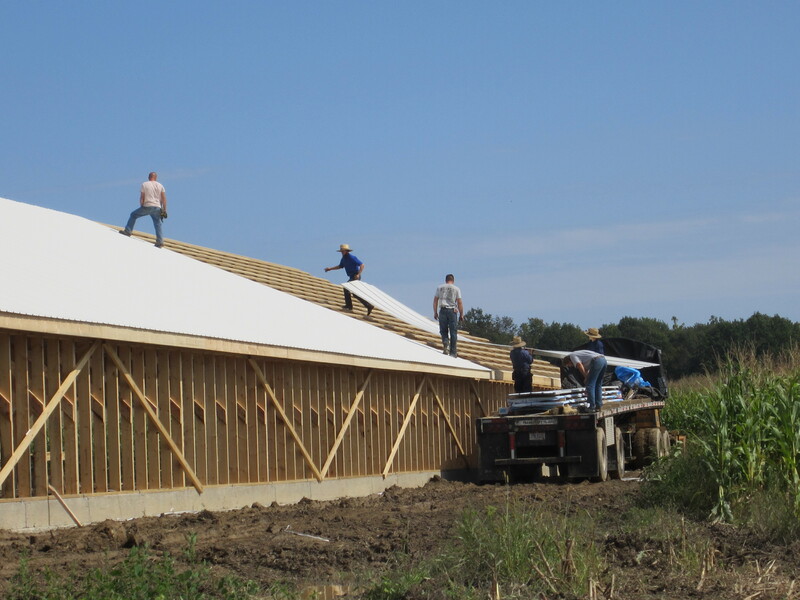 Each sheet was carried to the peak of the roof, set to overlap the previous sheet, then secured to the trusses. Can’t even begin to imagine how many screws this building has in it! After returning in the afternoon to the construction site, nearly half of the second side was already fastened in place! It really helps the mind’s eye create a picture of what the finished product will look like. We’re getting pretty excited about completing this project, but still, we have a long way to go. Stay tuned for more updates! Go Meyer Hatchery! Dominate the world of chicken hatching! My hens add 7 voices to this sentiment. One more concurs from chicken heaven.